Nothing says "heaven on earth" quite like tender pork ribs and loins, and nothing makes them tender like a premium injection. Using a special home blend of all-natural salts and spices primed for maximum moisture retention, combined with the smoky sweetness of brown sugar and top-quality pork stock, brace yourself for an pulled pork injection that gives a whole new meaning to the phrase "fall-off-the-bone." Perfected by a competition pit-master, FOR competition pit-masters, there aren't many other clear-cut ways to secure your throne as Ruler of the Grill. 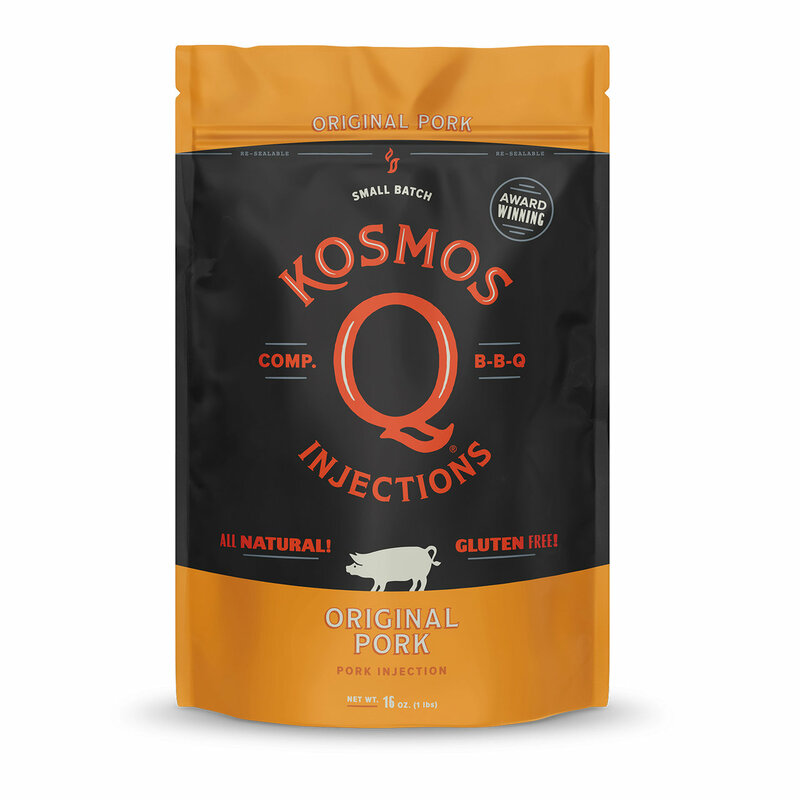 You know your ribs are headed in the right direction when you choose to use Kosmo's Q Pork Injection! Mix 1/3 cup of product to 1.5 cups liquid (apple juice, peach nectar, distilled water, or whatever liquid you prefer) adjust to personal taste as needed. (Enough for 7 lbs. of pork). INGREDIENT STATEMENT: Brown Sugar, Pork Stock, Hydrolyzed Soy Protein (Contains Salt), Sodium Phosphate (4.48%), Disodium Inosinate & Disodium Guanylate, Xanthan Gum, Autolyzed Yeast. Contains: Soy.